I have 2 years since I started to be interested in Kabbalah bracelets and their power. I,ve had some of them along the years, but the one I received from Kelka Jewelry is the most beautiful and meaningful. I,ve never had one with the Hebrew writing on it. The 72 names of God are 3 letter combinations that are based on the biblical verses of the parting of the Red Sea. Each name has a specific property, that one can connect by simply focusing on the letters. They are channels of energy that help us connect to certain frequencies, specific aspects such as health, love, soulmate, abundance etc. They are inspired by the teachings of the Kabbalah Centre. 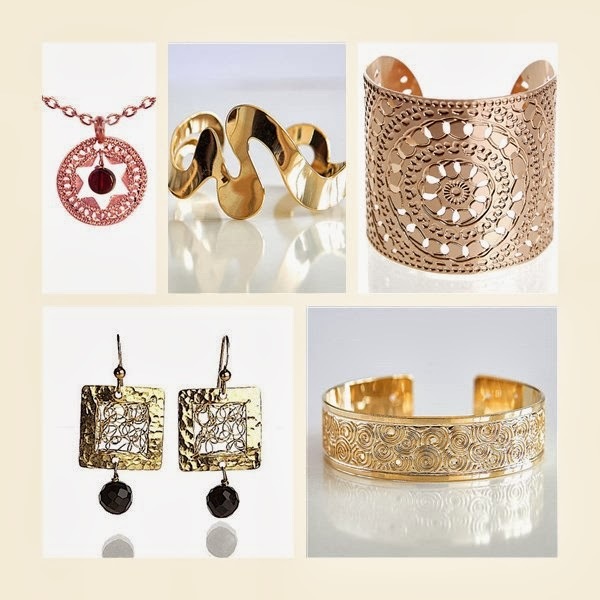 Behind Kelka Jewelry is Keren Peled, a jewelry artist who creates from the heart, inspired by the Jewish traditions she grew up with. The jewelry is made with love and care in her beautiful studio in Haifa, which is overlooking the Mediterranean Sea. My beautiful Kabbalah bracelet came in a present box with a personalized card attached. I love her eye for details. My one has the Kabbalistic Hebrew MHS - Mem, Heh, Shin - Healing name on it. I asked her if she can attach it on a red cord. The bracelet`s length is 17 cm but you can choose from different sizes. Length of bracelet includes the clasp also. The 2 cm Kabbalah coin Macrame is knotted to a Metallic Teal leather cord. The cuff is made of 24 Karat gold plated brass and leather. If you are interested in Kabbalah bracelets like me, you can buy them from here or check her Etsy shop here and choose one of her handmade products. All the products are high quality. If you would like to win a $100 Gift Card to spend on Kelka Jewelry shop, stay tuned! GIVEAWAY COMING SOON!! !